1) (Castle Cor, co. Cork; representative of two ancient Irish families, Deane, of Terrenure and Cromlin, co. Dublin, and Freeman, of Castle Cor). Quarterly, 1st and 4th, gu. three lozenges ar., for Freeman; 2nd and 3rd, ar. on a chev. gu. betw. three martlets sa. as many crosses pattee of the field, for Deane. Crests—1st: A demi lion ramp. gu. holding a lozenge in his paws ar., for Freeman; 2nd: A tortoise displ., ppr., for Deane. Mottoes—For Freeman: Liber et auda; for Deane: Ferendo non feriendo. 2) (confirmed to George St. George Freeman, Esq., of Waterford, mayor of that city, 1873, eldest son of Samuel Freeman, Esq., of Enniscorthy, co. Wexford). Gu. a civic crown or, betw. three lozenges ar. Crest—A demi lion gu. holding betw. his paws a civic crown as in the arms. Motto—Nec temere nec timide. 3) (London, and Eberton, co. Worcester. Her. Visit.). Az. three lozenges in fesse or. Crest—A demi wolf ar. holding betw. his paws a lozenge ar. 4) (Battisford, co. Gloucester, and Emlode and Blockley, co. Worcester. Visit. Worcester, 16J4). Same Arms, a mullet for diff. 5) (Springfield, co. Essex). Ar. on a pile az. three lozenges of the field. Crest—A demi lion ramp. gu. gorged with three lozenges in fesse ar. 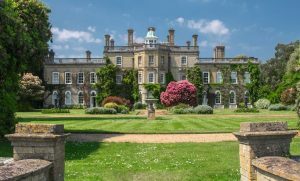 6) (Pylewell Park, co. Hants, and Fawley Court, co. Oxford). Quarterly, 1st and 4th, az. three lozenges or, for Freeman; 2nd and 3rd, gu. a cave ppr. therefrom issuing a wolf at full speed reguard. ar., for Williams. Crests—1st: A demi lion gu. charged with a lozenge or, for Freeman; 2nd : a lion ramp. gorged with a chaplet of oak leaves ppr. crowned with a naval coronet or, for Williams. Motto—Libertas et natale solum. 7) (London, cos. York and Wilts). Az. three lozenges or. Crest—A demi lion ramp. erased gu. holding a cross flory or. 8) (Gaines, co. Hereford). Gu. three lozenges ar. Crest—A lion ramp. gu. holding a lozenge in the paws or. 9) (Housley, co. York; impaled by Macclesfield, of Maer). Same Arms, a crescent for diff. 10) (co. Northampton). Az. three lozenges ar. 11) (Higham Ferrars, co. Northampton). Same Arms. Crest—A demi lion ramp. gu. charged with a lozenge ar. 12) (co. Northampton). Quarterly, erm. and az. three fusils in fesse or. Crest—Out of a ducal coronet az. a boar’s head erect ar. 13) (Flower, co. Northampton). Erm. three lozenges conjoined in fesse sa. on the middle one a bezant. Crest—In a ducal coronet a wolf’s head all ppr. 14) (Richmond). Az. three fusils or. 15) (Stratford-upon-Avon, co. Warwick). Ar. three lozenges sa. Crest—A demi lion ramp. holding betw. the paws a lozenge gu. 16) (co. York). Az. three lozenges in fesse or, (another, ar.). Crest—A demi fox ar. holding a lozenge or. 17) Same Arms, a bordure ar. Crest—A demi lion ramp. gu. holding a cross flory or. 18) Gu. three lozenges or. Crest—A demi lion ramp. gu. charged with a lozenge or. 19) Vert (another, az.) three fusils in fesse or. 20) Gu. a cross betw. twelve crosses crosslet or. 21) Or, on a chev. per pale ar. and gu. three fleurs-de-lis counterchanged. The last name Freeman has three separate origins theories and meanings. First, it could be an occupational surname meaning “the free man”, referring to a person who is not a serf under the medieval and Middle Ages feudal system throughout Christendom and the Holy Roman Empire in Europe, but rather was a person who had certain, peculiar privileges or was entitled to a franchise. The title of status of this person may very roughly translate to the modern equivalent of our “middle class”. In his book, Patronymica Britannica, author Mark Antony Lower writes the following in regard to this last name: “In the early days of feudalism two neighbors bearing the same common Christian name would be distinguished by epithets denoting their respective conditions, as John le Freeman and John le Bonde, and these epithets would often become family names. In the Hundred Rolls, we have not only many Le Fremans, but also one Matilda Frewoman, and an Agnes Frewif or free wife, probably the wife of a bondman. The name also occurs there in the forms Franchome and Fraunehomme. Also one who has received the freedom of any corporation”. Second, it could be a baptismal or patronymic surname meaning “the son of Fremond”, deriving from the Germanic personal (first) name Freimund or the French personal name Fremont, both masculine given names, with the terminating mund or mond becoming corrupted and Anglicized to man over time. One source states it more likely derives from the Old English word freomann (liber homo) relative to the theory that it derives from the Old English personal name Freomund. It is also derived from the Old English word frigmann. The first name Fremont is an old French/English/German name was Teutonic origins, meaning “freedom mountain”. Third, in some other instances it can be an Anglicized version of non-English surnames such as the Irish/Gaelic Ó Saoraidhe, the German Freimann or Freiman, or the French Foissy/Foisy. Another source states its also an Anglicized version of the Gaelic name Mac an tSaoir, which meansings “son of the craftsman”. In England, it was first found in Essex and was shortly after also found in Norfolk. In Ireland, the Freeman family was first established in county Cork, the ancient Kingdom of Desmond, located in the province of Munster, where they were granted lands by Strongbow (Gilbert fitz Gilbert de Clare, Earl of Pembroke) after the invasion of Ireland in 1772 AD. 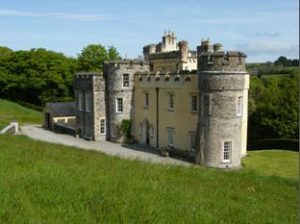 In Ireland, the Freeman family of Castlecor were trustees for a large number of Catholic gentlemen in the county of Cork. Common spelling variants or names with similar etymologies include Freman, Friman, and Fryman. The last name Freeman ranks 140th in popularity in the United Status as of the 2000 Census. The name ranks particularly high in the following six states: Georgia, North Carolina, Alabama, South Carolina, Arkansas, and Oklahoma. The surname Freeman frequency/commonness ranks as follows in the British Isles: England (176th), Scotland (643rd), Wales (284th), Ireland (668th) and Northern Ireland (1,006th). In England, it ranks highest in Northamptonshire. In Scotland, the surname Freeman rankest highest in Kincardineshire. In Wales, it ranks highest in Merionethshire. In Ireland, it ranks highest in county Wexford. In Northern Ireland, it ranks highest in county Londonderry. The name is also present throughout the remainder English speaking world: Canada (566th), New Zealand (294th), Australia (192nd), and South Africa (767th). The 1890 book Homes of Family Names by H.B. Guppy, states the following in regard to this surname: “This name is confined to the centre of England and to the adjoining eastern and western counties. Two lines drawn west from the Wash and the Thames to the Welsh border will roughly include the principal area of this name, which for an area of its size is remarkably well defined. It is at present most numerous in Suffolk and in Worcester; and likely enough the Freemans of the west and of the east may owe their surname to different events in the history of our country. Not improbably “Freeman” early appeared as an appellation in the counties bordering Wales, since we learn that in the 10th century the Welsh captives, reduced to slavery, were so numerous in the English shires on the border that the proportion of slaves to freemen would seem to have been unusually large. It is singular that the surname of Fry (Old English for Free) is confined to the south of England, occurring chiefly in Wilts”. The earliest known bearer of this surname was William Freeman who was documented in the Pipe Rolls of Norfolk in 1196 AD. Reginald le Freman was recorded in Worcester in 1221. Osbert Friman was recorded in Bedford in 1240 AD. The Hundred Rolls of 1273 AD, a census of Wales and England, known in Latin as Rotuli Hundredorum lists four bearers of this surname: 1) John le Freman (Hunts), 2) Geoffrey le Freman (Bucks), 3) Arnold Fromont (Cambridge), and 4) Robert Fromund (Oxford). Jacob Freman del counte de Pebbles rendered homage in 1296 AD in Scotland. Richard Freman was recorded in county Lincoln during the 20th year of the reign of King Edward I of England according to the Placita de Quo Warranto. Jordan filius (son of) Fromund is listed in the History and Antiquities of the County Palatine of Durham. The Poll Tax of Yorkshire in 1379 AD lists one bearer of this last name: Robertus Freman.An early marriage involving this surname was Dorathy Freeman to John Morse at St. Michael, Cornhill, in London in 1627 AD. An early baptism involving this name was Isabel, daughter of Symon Freeman, clothworker, at St. Peter, Cornhill in 1630 AD. William Peere Williams-Freeman was Esquire of Clapton, county Northampton, and Secretary H.M. Diplomatic Service was born in 1834. In 1863, he married Isabella Frances Sophia, daughter of Herman Merivale, and had six children with her: Augustus Peere (1865), Lionel Peere (1867), Ralph Peere (1875), Caroline Frederica (1871), Agnes Caroline, and Violet Mary. The lineage of this family begins with Anthony Williams, Esq, of a family long settled at Denton in county Lincoln, had, with his wife, daughter of William Peere, had a son named Peere Williams, Clerk of the Charles II, who married Joanna Oyley, a lady from a family in Holland, and had a son with her named William Peere Williams. This William married Anne, daughter and co-heir of Sir George Hutchins, and had the following issue with her: Sir Hutchins of Caloptpn, created a baronet, Frederick, and William Peere of Cadleigh (married a French woman and had issue with her), George (married Diana, daughter of the Earl of Coventry), Anne (married George Speke and Sir Francis Drake), and Louisa (married Sir Robert Hamilton). The second son, Reverend Frederick Williams, Prebendary of Peterborough, married Mary, eldest daughter of Reverend Dr. Robert Clavering, and had issue with her as follows: William Peere, Robert, Elizabeth, and Mary. 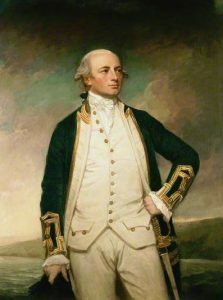 The elder son, William Peere Williams, Esq., was Senior Admiral of the Fleet, born in 1741, who married Miss Henrietta Wilts in 1771 and had issue with her including: William Peere, Frederick Charles, William Peere, and Anne Elizabeth. This admiral assumed the additional surname and arms of Freeman in 1822. The coat of arms for this family has the following blazon: Quarterly, 1st and 4th, azure three lozenges or, for Freeman; 2nd and 3rd, gules, a cave proper, therefrom issuing a wolf at full speed reguardant, for Williams, Crests: 1st, A demi-lion gules charged with a lozenge or, for Freeman, 2nd, a lion rampant, gorged with a chaplet of oak leaves proper navally crowned or, for Williams. John Freeman, Esquire of Gaines, county Hereford, was a Justice of the Peace, Deputy Lieutenant, and High Sheriff who was born in 1802. In 1826, he married Constantia, daughter of Richard Francis Onslow, and had five issue with her: John Arthur (Captain 2nd Dragoons, Royal Scots Greys), Mary Harriett (married Reverend Arthur Childe), Constance (married Francis Sutherland), Cecilia Abigail (married John Inglis of Red Hall, Edinburgh), and Elizabeth. The Freeman genealogy traces back to Bellingham Freeman, Esq., son of Francis Freeman of Suckley, acquired, around 1683 AD, the Gaines estates, located in the parish of Whitborne, county Hereford, in marriage with Elizabeth, daughter of Richard Gower, Esq. of Suckley. He had a son named John. In 1727, John married Abigail Jones, of the Orchards, county Hereford, and died in 1764, having the following issue: Betty (married John Barneby of Brockhampton), Anne (married John Lillyn of Worcester), Abigail (married John Freeman of Letton), John, and Thomas. His son John Freeman, Esquire of Gaines, in 1761, married Miss Anne Harris, and died in 1801, leaving three issue: Theodosia, John, and Thomas Harris (married Mary Chambers). The elder son John, in 1798, married Mary, eldest daughter of James Dansie of London, and had issue with her: John (mentioned at the beginning of the paragraph), Mary Abigail (married Charles Sidebottom), Anne (married Reverend Henry Francis Sidebottom), and Elizabeth (married James Plucknett), Mary (married Fleming St. John). The Freeman Coat of Arms (often mistakenly called the Freeman Family Crest) is blazoned in heraldry as follows: Gules, three lozenges argent, Crest: A demi-lion rampant, holding a lozenge in his paws. Sir Wilfrid Rhodes Freeman, 1st Baronet, was born in 1888, the son of William R. Freeman of Westbourne Terrace, and was educated at Rugby College and was of Murtle, county Aberdeen. He was a Captain and brevet Major of the Manchester Regiment and served in World War I from 1914-1915. 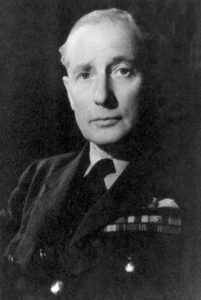 He held numerous positions and titles, including Chief Executive Minister of the Ministry of Aircraft Production, and was created a Baronet in July 1945. 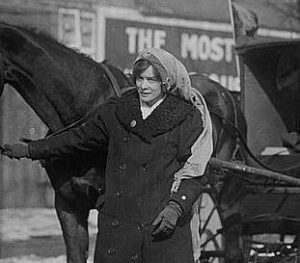 In 1915, he married Gladys, daughter of J. Mews, and had two children with her: John Keith (married Patricia Thomas in 1946) and Bridge Anne Elizabeth (1920). He later married Elizabeth, daughter of Ernest Tatham Richmond, and had two daughters with her: Joan Margaret (1936) and Susan Hilary Philippa (1939). The Freeman Coat of Arms (erroneously called the Freeman Family Crest) was blazoned in heraldry as follows: Per fesse azure and viar ancient, three fusils in chief and a crescent in base or, a bordure engrailed gules. Crest: A fusil or between two wings displayed azure. John Freeman was born in Pulborough, Sussex, England around 1541. He married Anna Isham Mortimer and Tryphoa Isham and had two issue with her: Edmund Sr. and Edmund. His son Edmund Honington Freeman Sr. was born in Pulborough in 1572 AD. He made Alice Coles and Prime Ridley and had the following issue: Ellen, Edmund, Elizabeth, Alice (Beachamp), Eleanor, John, William, Elizabeth (Judd), and Stephen. His son Edmund Edward Freeman Jr. was born in the same town in 1596 AD. He had the following issue: Mary, Alice, Edmund Jr, Bennett, Elizabeth, John Sr., Nathaniel, Sarah, Cicelia, and Mary. His son Major Freeman Sr. was born in Pulborough in 1626. He married Mercy Prence in Eastham, Barnstable, Massachusetts, in 1649, and had the following issue with her: John, John Jr., Thomas, Patience, Edmund, Mercy, William, Hannah, Price, Nathaniel, Bennett, Jonathan, and Temperance. His son Deacon Thomas Freeman was born in Eastham, MA in 1653 and he married Rebecca Sparrow, having the following issue with her: Mercy (Sears), Thomas, Jonathan, Edmund, Joseph, Joshua, Hannah, Prince, Hatsel, and Rebecca. His son Thomas was born in the same town in 1676. He married Bathsheba Mayo and Mary Smith Doane, having a son named Samuel. This Samuel Freeman Esq. was born in Harwich, Massachusetts in 1715. He married Margaret Smith and later Mary Mayo, and had the following issue with her: Samuel, Bashua, Hezekiah, Smith, Joseph, Josiah, Seth, Doane, Benjamin, Margaret, Sarah, Lydia, and James. His son Joseph Freeman was born in Hyannis in 1745 and he married Rebecca Nickerson, having three issue with her: Joseph, Thomas, and Mercy. His son Captain Joseph Freeman was born in Liverpool, Nova Scotia, Canada in 1765, and he married Elizabeth McLearn, having one daughter with her named Elizabeth, who was born in 1791 and married James Ratchford DeWolf. Henry Freeman was born in Northamptonshire, England, around 1515 AD. He married Joan Rudd and had issue with her as follows: Thomas, George, Blasé, John, Oswolde, Elizabeth, Mary, and Edward. His son Thomas was born in Irchester, England in 1532. He had five issue: Henry, John, Elizabeth, Blasé, and Thomas. His son Thomas was born in Preston, Crowmarsh, Oxfordshire in 1579. He married Frances Bennett and had issue with her as follows: Bridges, Bennett, Robert, Richard, Thomas, William, Elizabeth, Henry, John, Richard, William, and John. His son Bridges Freeman was born in Preston, England in 1603 and he went to Jamestown, Virginia, in colonial America, where he married Bridget Evelyn Fowler. He had the following issue with her: Elizabeth, John, Bridges, Bridget, James, Anne, Robert, Henry, and Jane. His son Bridges Freeman was born in James City, VA and he married Jane Hamlin, having two issue with her: Jane and John. His son John was born in Charles, VA in 1671 and he married Elizabeth Hancock. Jonathan Freeman, age 35, came to New England aboard the Abigall in June 1635, along with his (mother or wife?) Marie Freeman, age 50, and two children, Joseph and Sycillie Freeman, ages 9 and 4, respectively. Thomas Freeman, age 24, and Edmond Freeman, age 45, came aboard the Abigail to New England around 1635. Edward Freeman with his wife Elizabeth and two children Edmond and John also came aboard the Abigaill, as did Elizabeth and Alice Freeman. Bennet Freeman came to Virginia aboard the Transport of London in July 1635. Anthony Freeman, age 22, came to New England aboard the Hopewell in September 1635. Elizabeth Freeman, age 18, came to St. Christopher’s aboard the John of London in October 1635. William Freeman, age 46, came to Virginia aboard the Abraham of London in October 1635. Thomas Freeman, age 19, came to the Barbadoes aboard the Expedition in November 1635. A man named Bridg’s Freeman was recorded as living in Virginia (at Elizabeth Cittye) in February of 1623. Raph Freeman came aboard the Margett and John in 1622. Elisabeth Freeman was buried in the parish of St. Michael’s Barbados in August 1679. Other early settlers in colonial America bearing this surname not already mentioned above include Bernardus Freeman (New Netherlands 1620), Domine Bernardus Freeman (New Netherlands 1620), Edward Freeman (Virginia 1705), Thomas Freeman (1706), Abraham Freeman (Pennsylvania 1731), and Georg Freeman (Pennsylvania 1739). In Canada, one of the first settlers with this last name was William Freeman, who landed in Nova Scotia in 1749. In Australia, one of the first bearers was John Freeman, a convict from Middlesex, England who came aboard the Almorah in 1817, settling in New South Wales (then a penal colony). In New Zealand, two of the earliest bearers were George Freeman who came to the city of Wellington in 1840, and J.S. Freeman who came to Auckland in 1840, arriving on the Westminster. grave of Henry Freeman Sr.
Charles Bolton’s American Armory (1927) contains one entry for this surname: 3 garbs Crests 1: a garb; 2: an antelope’s head couped. 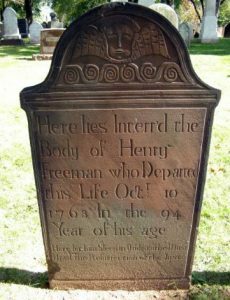 1) Henry Freeman of Woodbridge, New Jersey, 1670, from Northampton, England. Azure, three lozenges, or. Crest: A demi-lion rampant gules holding a lozenge in the paws or. Motto: Liber et Audax. 2) Edmund Freeman of Lynn, Massachusetts, 1635, from Oxford, England. Azure three lozenges or. Crest: A demi-lion rampant gules holding between his paws a like lozenge. Motto: Liber et audax. 3) Joel Francis Freeman, Esquire of East Orange, lived in New Jerset. The same as Henry Freeman of Woodbridge. 1) George Wentworth Freeman who was born in Dover, New Hampshire in 1859. He was educated at Cornell University, Captain of the 2nd Regiment US. Vol. Engineers, and served in the Spanish American War. In 1886, he married Mattie, daughter of James Hearst and Martha J. 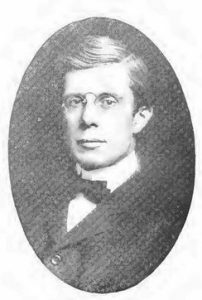 (Gray Foster) of Albany, Oregon, and had three children with her: George Foster (1887), James Wentworth (1894), and Martha Gray. He was the son of Franklin Freeman of Dover, NH. He descended from Major John Freeman (1627-1719) who served against the Indians. Arms: Azure, three lozenges or. Crest: A demi-lion rampant gules holding in the paws a lozenge or. Motto: Liber et audax. 2) Alden Freeman who was born in Cleveland, Ohio in 1862. 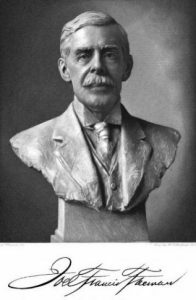 He was educated at New York University and was one of the founders and incorporators of the Hereditary Patriotic Order of Settlers and Defenders of American. He was the eldest son of Joel Francis Freeman, of East Orange, New Jersey. He descended from Henry Freeman (1670-1763) of Woodbridge, NJ and on the maternal side from John Abbey, who came from England aboard the Bonaventure in 1634. Arms: (Abbey) Gules, five conjoined in fesse, between three escallops argent. Crest: An eagle’s head erased proper. Motto: Alte fert Aquila. There are hundreds of notable people with the Freeman surname. This page will mention a handful. Famous people with this last name include: 1) Morgan Freeman (1937) who is an American actor, producer, and narrator best known for his roles in movies such as The Shawshank Redepmtion, Driving Miss Daisy, and Glory, 2) John Frank “Buck” Freeman (1871-1949) who was an American right fielder in the MLB at the turn of the 20th century who was born in Catasauqua, Pennsylvania, who played for the Washington Statesmen/Senators, Boston Beaneaters, and Boston Americans, 3) Lawrence “Bud” Freeman (1906-1991) who was an American jazz musician born in Chicago who was known for major recordings (ex. After Awhile) composed with Benny Goodman, 4) Chapman Freeman (1832-1904) who was a Republican member of the U.S. House of Representatives from Pennsylvania, 5) Elisabeth Freeman (1876-1942) who was an American civil rights activist and suffragist, best known for a report to the NAACP on the lynching of Jesse Washington, 6) Major Freeman Freeman-Thomas (1866-1941) who was the 1st Marquess of Willingdon, a British Liberal politican who was the Governor General of Canada and the Viceroy and Governor-General of India, 7) Harry Lawrence Freeman (1869-1954) who was a United States opera composer, conductor, impresario, and teacher and was the first African-America to write an opera (Ephhalia) to be successfully produced, known as “the black Wagner”, 8) James Freeman (1759-1835) who was the minister of King’s Chapel in Boston for 43 years and was the first clergymen in the US to call himself a Unitarian, 9) James Shepherd Freeman (1900-1962) who was a World War II Admiral in the United States Navy, born to the millionaire Jame Stanley Freeman in Jasper, Alabama, 10) Jonathan Freeman (1745-1808) who was a member of the US House of representatives for New Hampshire and was born in Mansfield, Connecticut, 11) Martin Henry Freeman (1826-1889) who was the first Black president of an American college, as well as the later president of Liberia College, and was born in Rutland, Vermont, and 12) Orville Lothrop Freeman (1918-2003) who was an American Democratic politician who was the 29th Governor of Minnesota from 1955-1961 and the U.S. Secretary of Agriculture from 1961-1969 under the Kennedy and Johnson administrations. The main heraldic symbol in the Freeman Coat of Arms (or Freeman Family Crest) is the lozenge. For easy recognition of the items on a coat of arms, and hence the quick identification of the owner, bold simple shapes are best. Hence, simple geometric shapes are often used for this purpose, and the lozenge Is a typical example of this, and can appear in any of the main heraldic tinctures. It can appear on its own, voided (with the background visible through the middle), and can also be conjoined, whereby adjacent lozenges touch point-to-point. Guillim groups the lozenge with all square shapes as being symbolic of “verity, probity, constancy and equity”. Very informative and very helpful. Thank you, Ted Freeman.